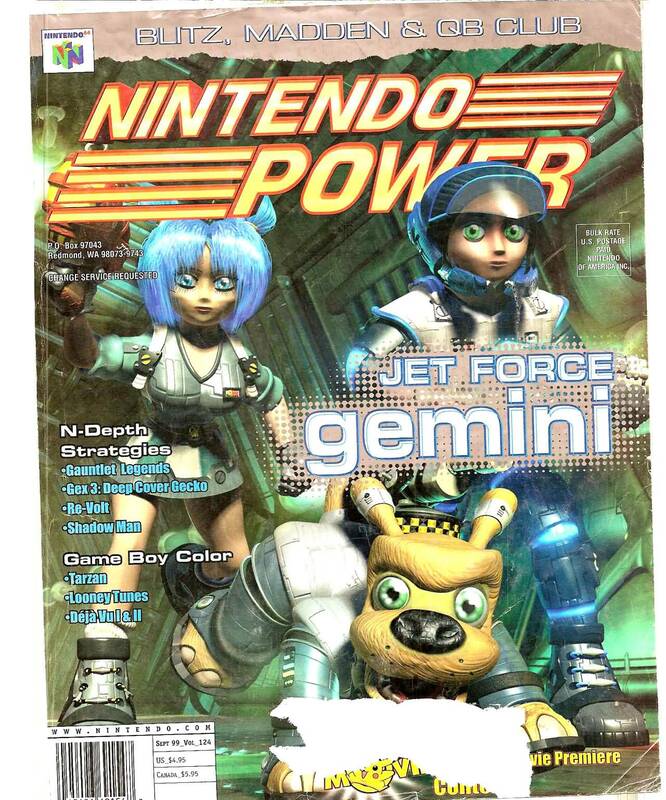 In 1999 Nintendo Power was primarily covering the Nintendo 64 and Game Boy Color. The Nintendo 64 was near its peak having been out a few years. The GameCube was still a couple years away so it was not yet making headlines. 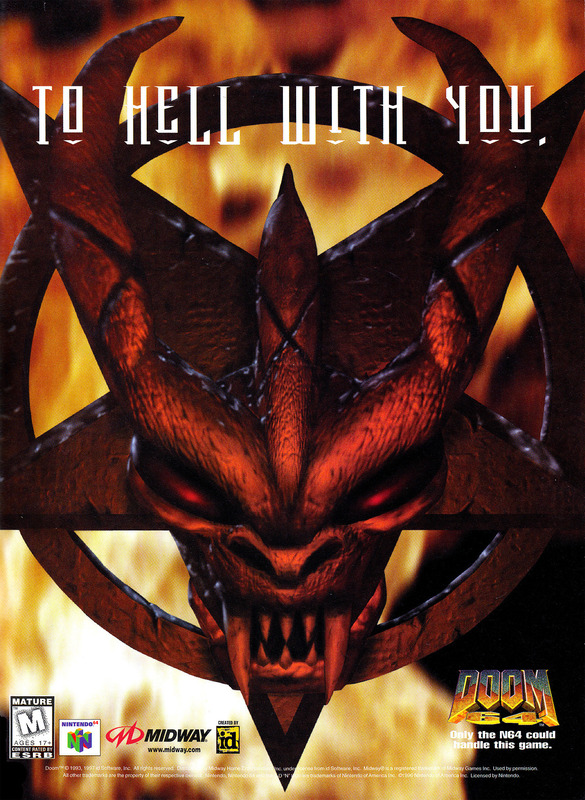 The infernal magazine ad for Doom 64. Doom 64, released in 1997 for the Nintendo 64, was actually a sequel to Final Doom as opposed to just another remake of Doom as found on most systems at that time. 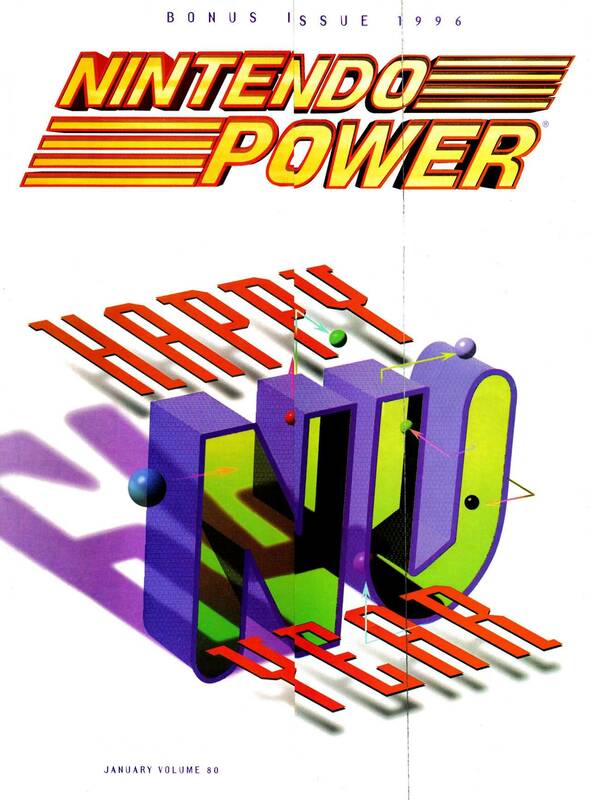 Not that you could tell based on the name which had ’64’ tacked on like 90% of the other early Nintendo 64 games. 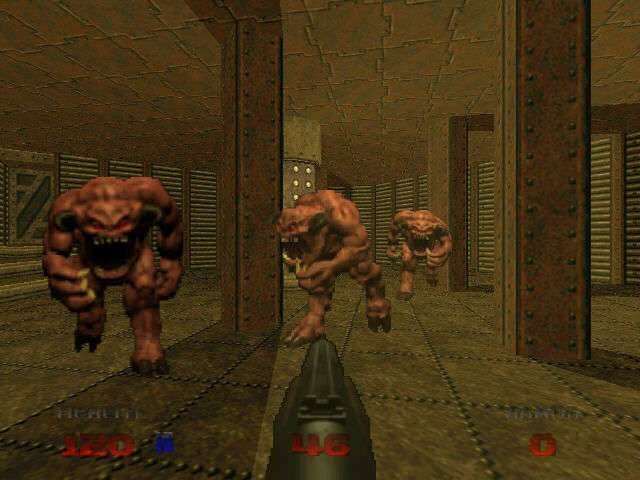 It had the best graphics of any version of Doom up to that time and featured new levels, some minor graphical changes and enhancements, and even a new weapon (a laser). Doom 64 was an excellent version of Doom but it wasn’t really different enough to justify getting if you already had any of the other ports. Also, like most other console ports it had one absolutely critical flaw. It was single player only. The appeal of the Doom series to me was always in the multiplayer death match. Had it been a single player game on the PC I don’t know that I ever would have even played it. However, if you are a fan of one player Doom and don’t mind using a Nintendo 64 controller, then there is probably no better version. 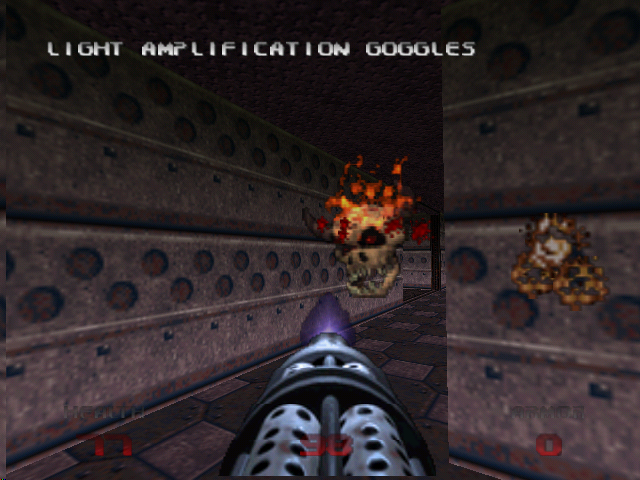 To play Doom 64 you’ll have to track down an original or use emulation. As far as I know this one never found its way to being a Virtual Console release (and probably won’t for licensing reasons) or had any other re-releases or direct sequels.